Frontier Stockyards is a Montana based Internet livestock marketing business that, by using the latest technology, combines our livestock auction, order buying and satellite video experience into a strong regional and national marketing firm. We offer both live real time cattle auctions and posted static auctions via the Internet. The mission of Frontier Stockyards, Inc., is to be the Internet auction site of choice by consistently offering top quality feeder and breeding cattle with honesty and integrity. We cover the heart of America’s cattle country……Home to the finest cowherds in the world. Customer service is our top priority. We are aware that this is your calf crop, your annual production, your blood and sweat and you want it handled right. Our sale catalogs are posted on our website and are available to anyone with Internet access. We post them well in advance of our sales to get the utmost exposure for our customers. Your cattle are available for buyers to preview worldwide…… 24 hours a day. To register as a buyer, or to visit with a member of our team about filming your cattle, call 1-866-621-5546 or visit us online at www.frontierstockyards.com. If you are interested in becoming a representative, please give us a call. Frontier stockyards is a bonded and licensed Internet livestock listing and auction company featuring both static and live auctions. We are family-owned and operated and conveniently located in Miles City, MT. We can provide you with the latest and best in power sports products to make your outdoor living more enjoyable. Learn more about our new approach to animal health and our quality products that are backed by quality people! 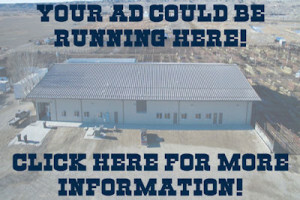 Want to advertise at Miles City Livestock Commission? We would be happy to visit with you! WATCH AND LISTEN TO US LIVE ON THE INTERNET!! Now you can watch and listen to our sales live as they happen!! We are broadcasting each sale through the Livestock Marketing Association website. You will need to register at their website to gain access to the live feed of our sale. When registering, you will be asked to create a user name and a password. You will need to write down what you decide on – that is what you will use each time you want to watch the live sale. You can register at their website at www.lmaauctions.com or Click Here to go directly to the registration page. After registering, simply log-in on their website (www.lmaauctions.com)with the user name and password you created. After logging on, click on the “View Live Auctions Now” button and then click on the “view” button for Miles City Livestock Commission. Remember that we have a sale every Tuesday and we also have special sales as advertised. Check out our “Sale Schedule” at www.milescitylivestock.com.